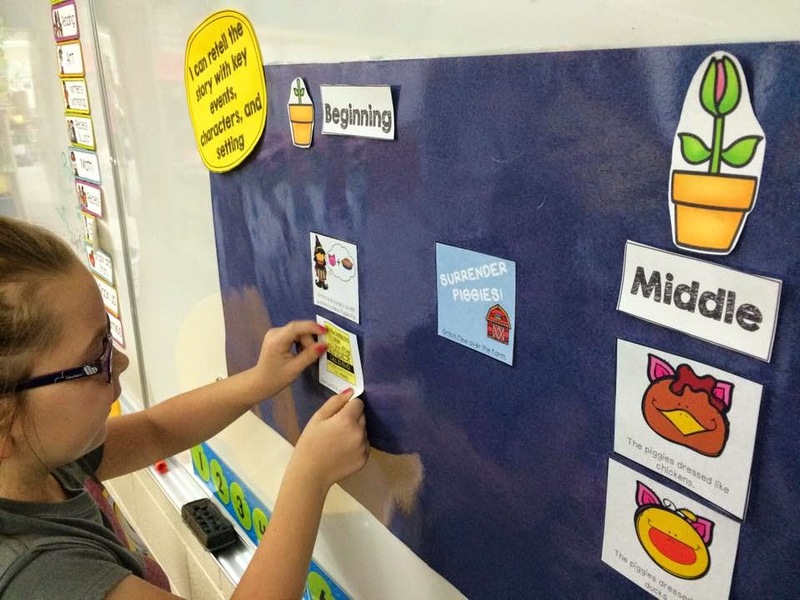 Curriculum Maps for Kindergarten and First Grade help to guide your classroom instruction through your whole year! 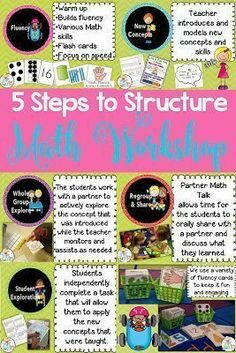 Reading, Math, Writing and MORE! Plus a free file for you! 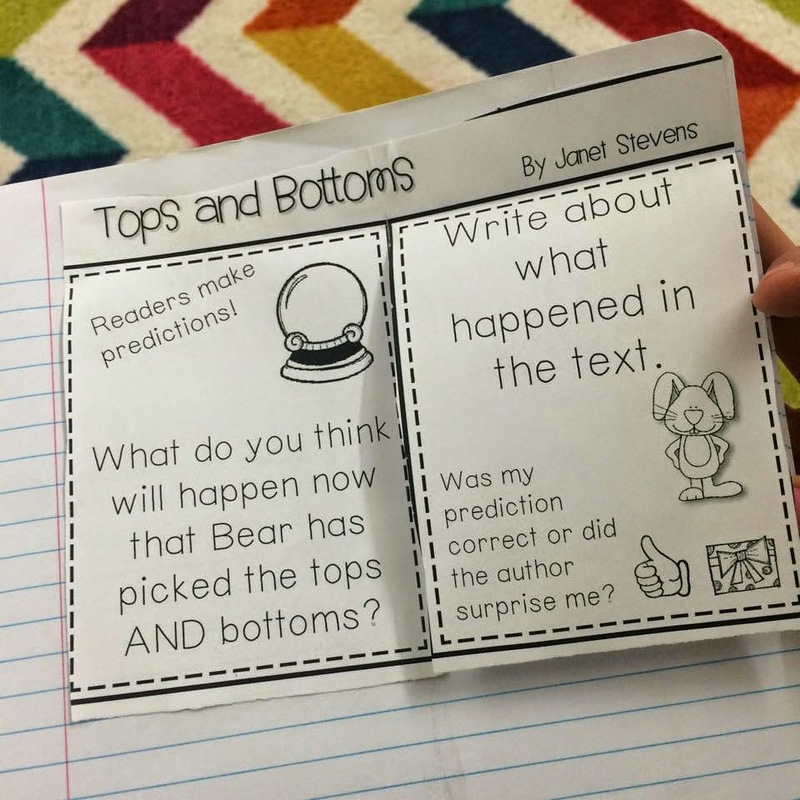 We have a whole series of Engaging Readers units out. The units cover phonemic awareness, phonics, and Comprehension skills. Here are a few pictures that Stephanie Stewart shared with me from the April unit. Sequencing the picture cards for the story, Piggie Pie. 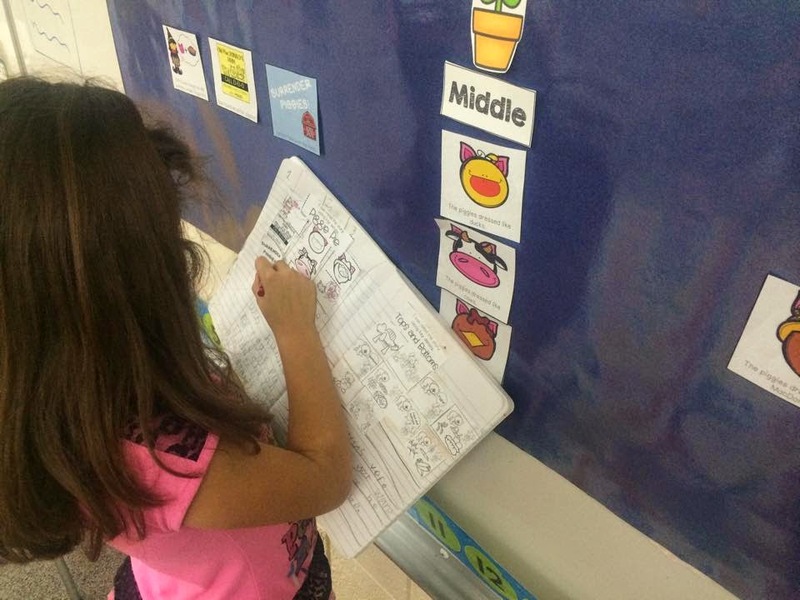 Checking her notebook with the class chart to see if her pictures are in the correct order. 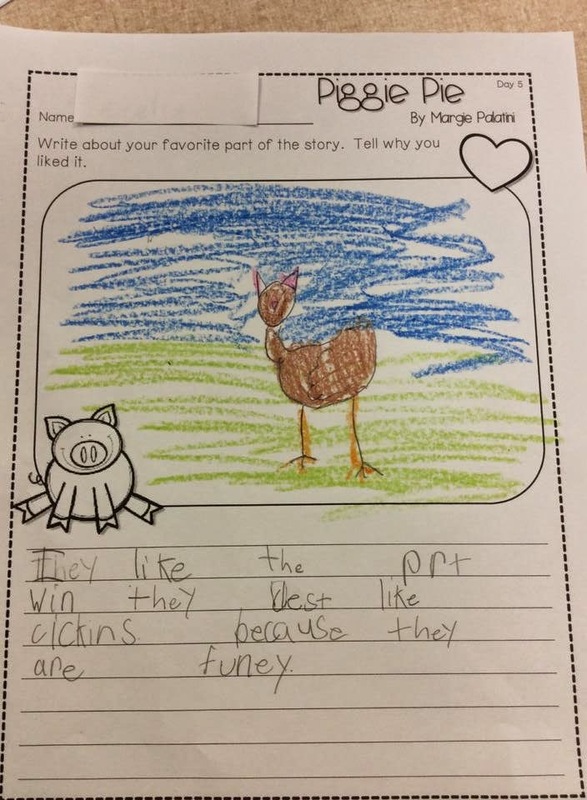 Writing about their favorite part of the story. The writing activities are available in a regular paper format and Flip Flap format for those who choose to put the pages in a journal. 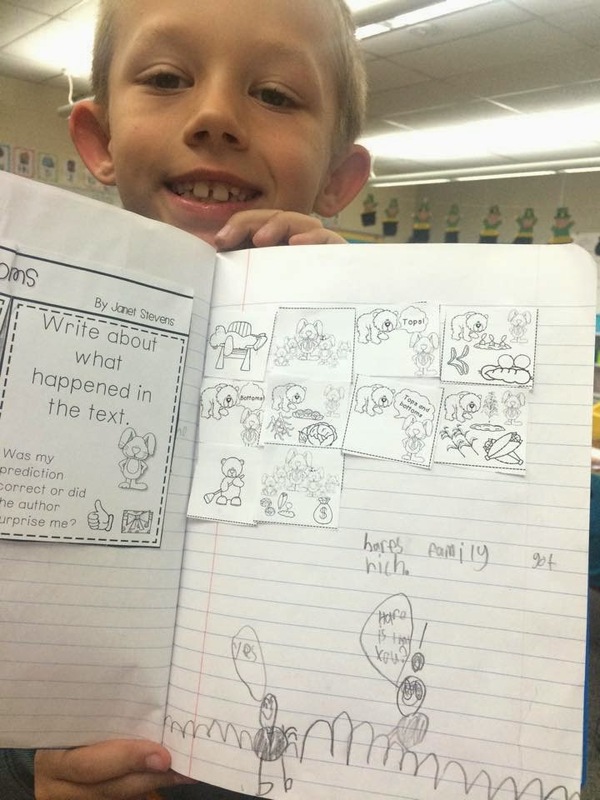 This little sweetie sequenced the story in his reading journal. These lessons focus on one read-aloud book for five days, so that you can really dig deep and work on a variety of comprehension skills. This is what our five-day plan for Piggie Pie looks like. Our systematic word work makes it easy for even the littlest learners to tackle and learn some of the higher level phonics chunks that they will encounter in the texts they read. We’ve included large pocket chart pieces for many of the word work components so that there is flexibility in how it is introduced and taught. You can break up the components and do them at various times of the day. 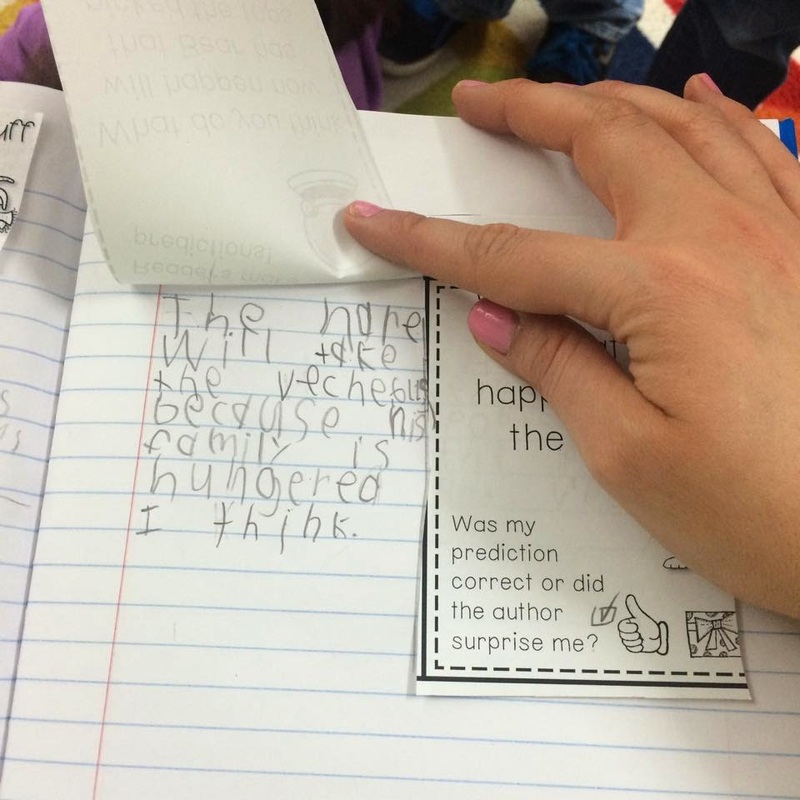 For example, the word work portion could be done in the morning or as a warm-up in your Guided Reading groups. Lesson Planning is a snap and if you’re out sick a sub can easily follow these plans. You can see all of our Engaging Readers Units by clicking HERE. We have included the curriculum map, standards correlations, binder organization files, 5-day FREE unit sample, and mentor text lists in this free download. Simply add your email to the box! « Spring Books You Won’t Want to Miss! Is there a unit for 2 grade?